Second-placed RB Leipzig host high-flying Eintracht Frankfurt on Saturday. 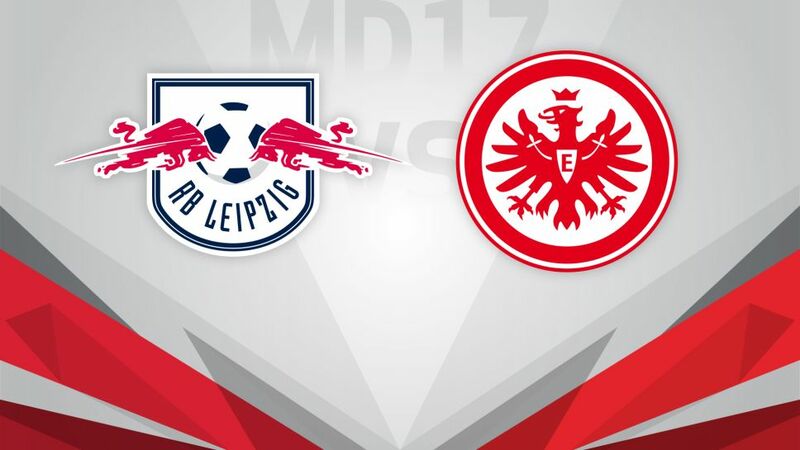 RB Leipzig face the one remaining Bundesliga opponents they have yet to meet when they host Eintracht Frankfurt this Saturday (kick-off 18:30CET/17:30GMT). The home side have been the surprise package of the season so far, ending 2016 second in the table on the back of an astonishing run of eight straight wins between late September and early December. They were rather put in their place by a 3-0 defeat to FC Bayern München on Matchday 16, but the easterners will be confident of starting the new year off on a positive note. Frankfurt have also flown under the radar this season, meanwhile. Having won half their 16 Bundesliga games and conceded just 12 goals, the Eagles have enjoyed a superb campaign so far - especially after coming close to relegation last term - and need have no fear when travelling to Saxony.